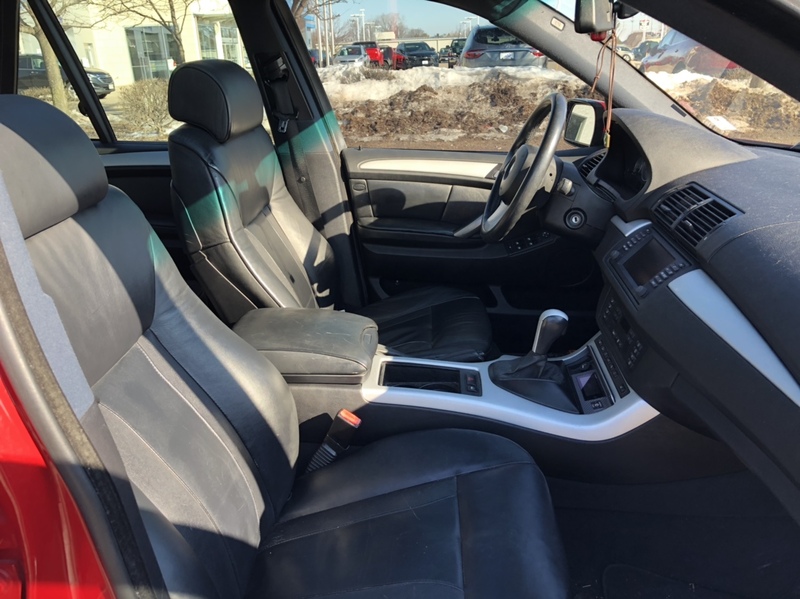 2006 E53 X5 4.8iS Imola over black comfort seating. Just about to turn over 109k miles. 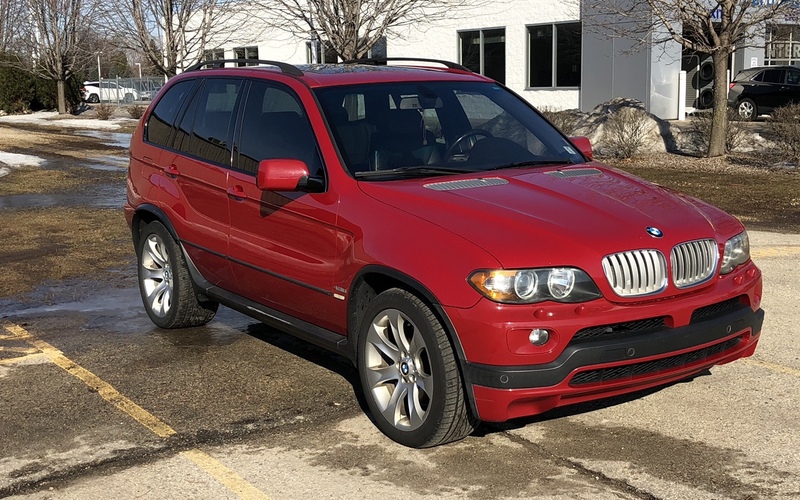 I've owned this X5 since August 2016 and purchased it with 84k miles. While I'm the 3rd owner, I bought it from a XOutpost.com forum member that only owned it for a couple months. He purchased it from the original owner in Texas and brought it home to Seattle which is where I found it and shipped it to Wisconsin from. While I don't have any service/maintenance receipts from owner #1 or 2, I have all records during my ownership, a copy of a carfax from my time of purchase, and a PPI that owner #2 requested from owner #1. Since my ownership I've spent and have receipts for over $12k of service & maintenance. $1,800 of that is a new oem windshield, and another $1,900 are 2 sets of tires. 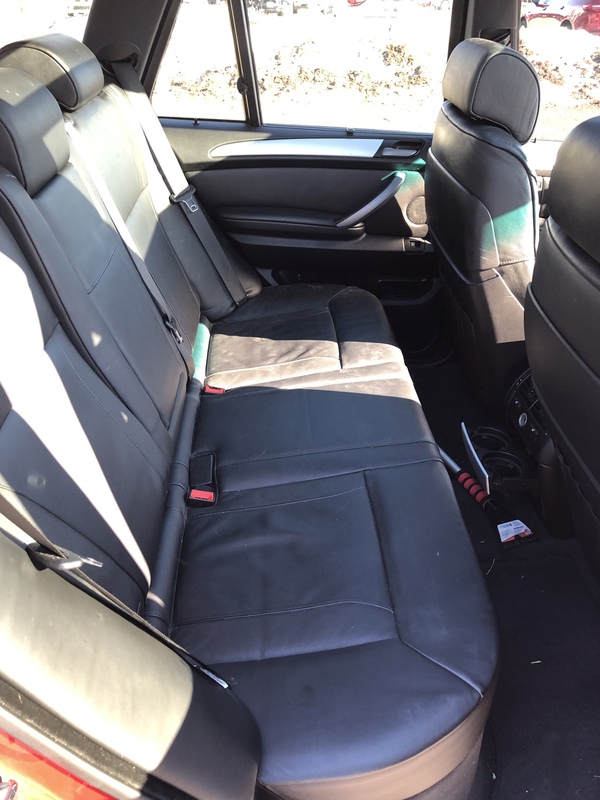 The other major repairs include rebuilding the transmission which was over $2,300 (shifts perfectly now) and replacing the problematic air suspension with coil overs. Suspension replacement was over $1,900. I have the oem air suspension components all of which work and they will go along with the sale. Air suspension failed due to computer module. I bought the software to delete the error message on the dash. The computer and diagnostic software will go along with the sale. *) The headliner is sagging in the rear cargo area. 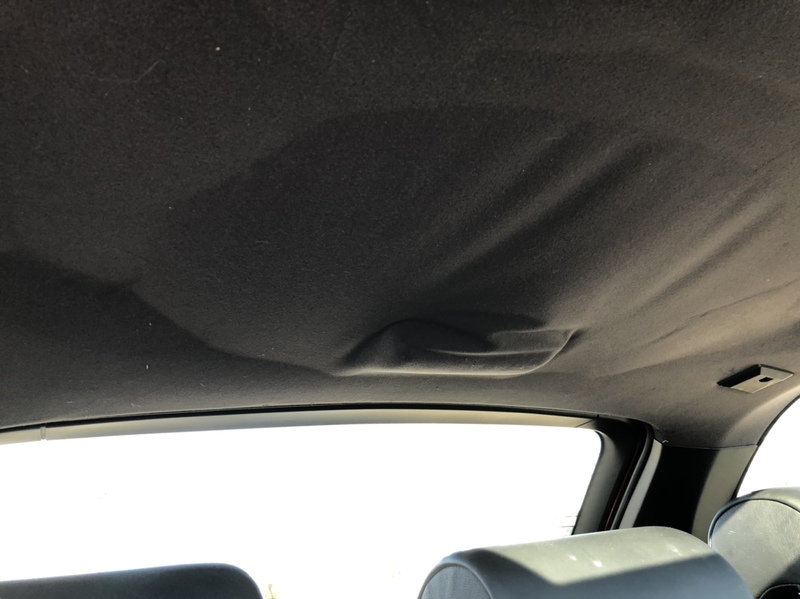 It’s not the entire width of the headliner, it’s an area about the size of a beach ball. Photo below. *) The alcantara liner pealed off the pano roof cover. Not really a big deal for me because I always leave the glass exposed, but if you close your sunroof you’ll want to have it recovered. 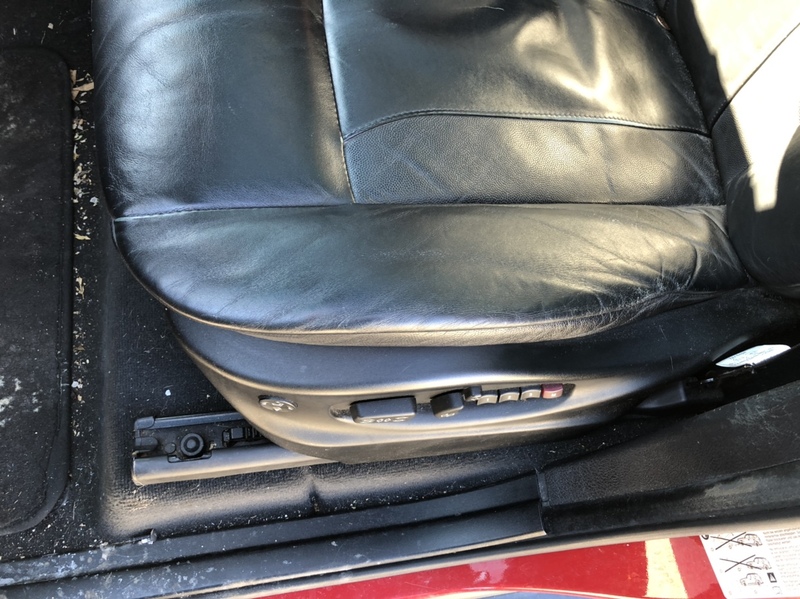 *) When I purchased the truck, the rear hatch opener had been replaced and was not painted. Oddly it came in a red primer that is pretty darn close to Imola. I bought some touch up paint and painted it myself. That paint is chipping and peeling. *) The rear bumper has a scuff on each side. If I keep the truck I'll be repainting it because it bothers me, but it’s really not all that bad. *) The door lock on the passenger rear is missing the little black ring that goes around the lock indicator. I think these are universal for BMWs of the era and are only a couple bucks. *) Very common for V8 E53s to leak oil. I've experienced a few different leaks. With all the repairs I've had done it hasn't leaked a single drop of oil in over a year. *) I used to own a car detailing business and still do it as a hobby. 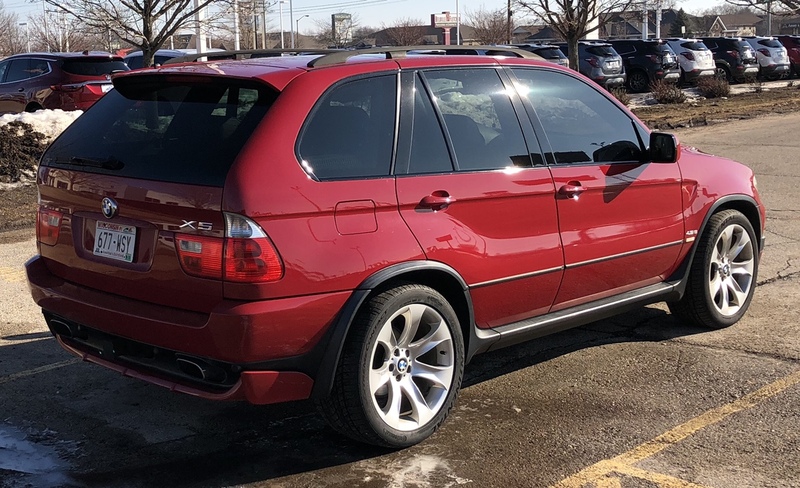 This X5 has a ceramic coating that was applied summer of 2018. It won’t need paint protection for 3-5 years. *) This truck is my daily driver. 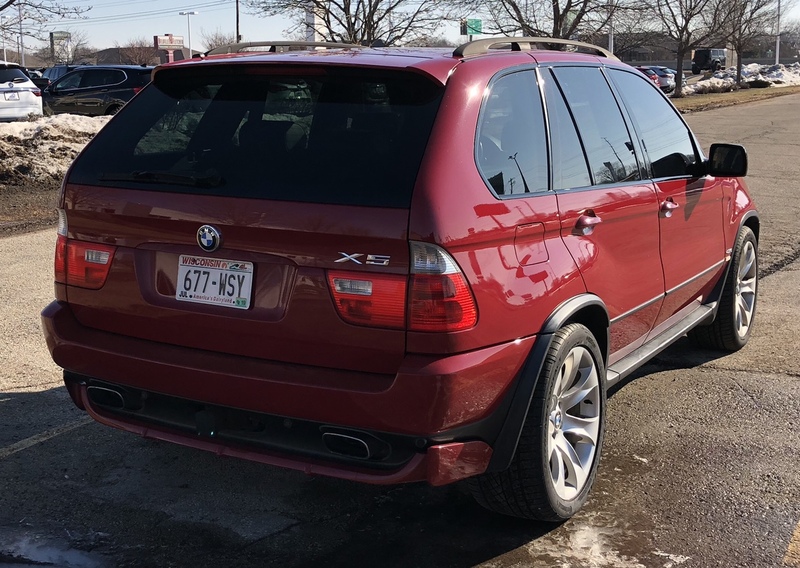 I own an E46 M3 that gets about 3-5k miles per year but most of my driving is done in the X5. Because I use it so much I do whatever it takes to make sure its reliable. It hasn't been without trouble obviously, but for the most part it’s been incredible to drive. During the summer of 2018 I took it on 2 road trips. One being 1000 miles and another 1800 mile trip. It was flawless. I wouldn't hesitate to jump in and drive this truck anywhere. 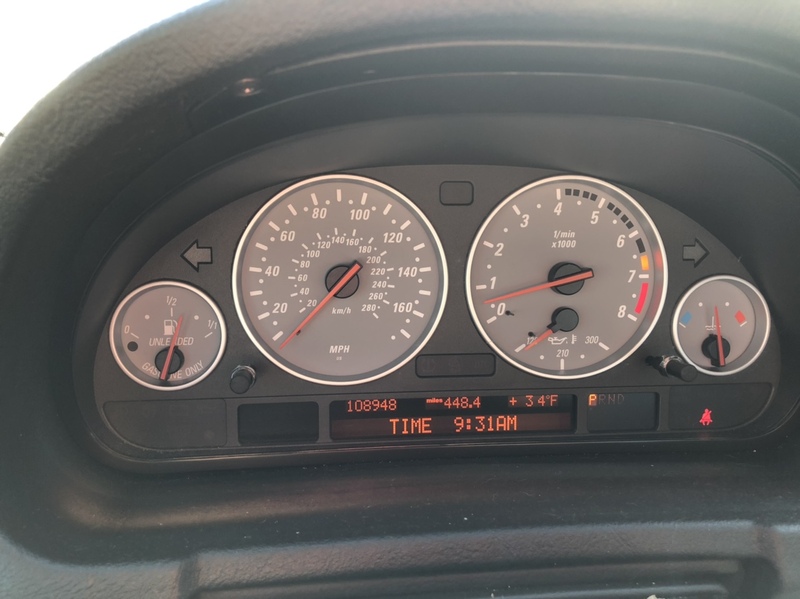 *) Almost unbelievably for an E53, or any BMW of this era, every single pixel in the dash works. 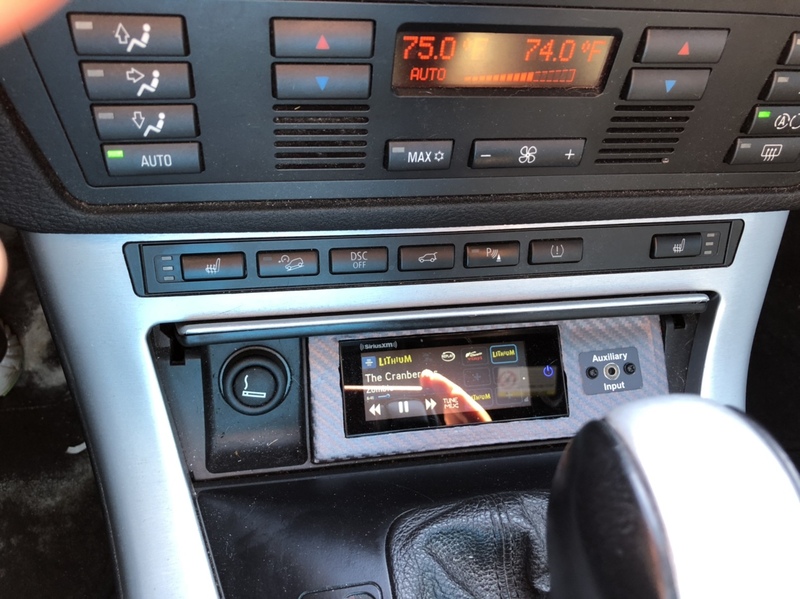 One of the 1st things I replaced was the oem navigation screen. The original had the typical burn spots in the screen. I hated looking at them so I replaced it. 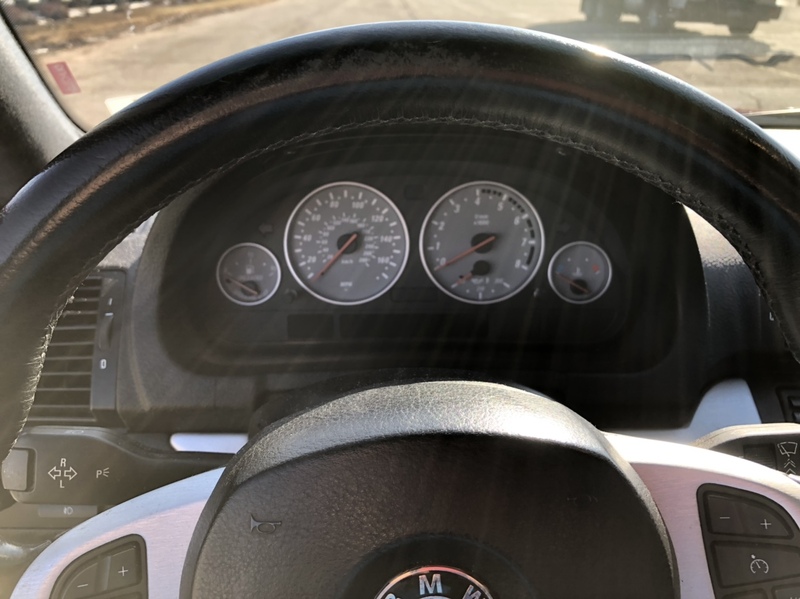 *) The current Continental DWS tires were installed just weeks ago and have well less than 1000 miles on them as of 3-19-19. *) Heated seats and wheel get warmer in this vehicle than in my wifes F10 5 series. A must have in cold climates. I’m certain that I’ve left some things out, but I’m hoping to convey that I’m a pretty particular guy. 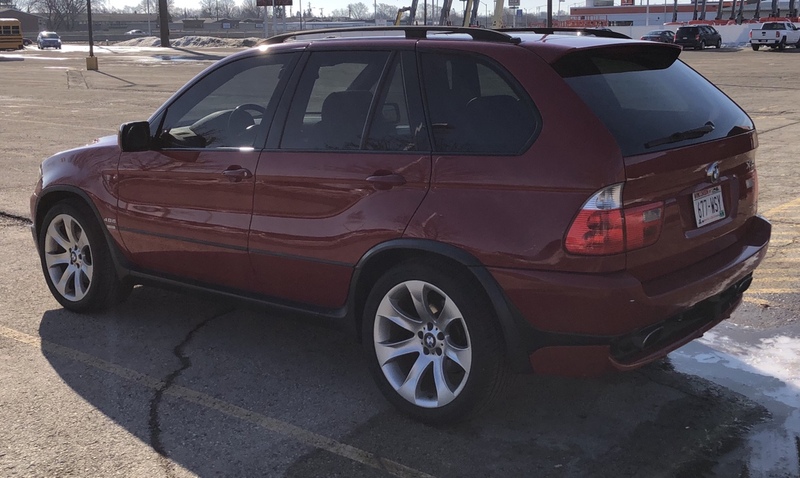 I’ve owned 8 different BMWs and have a passion for the brand. I look forward to every time I get behind the wheel to drive and I’m only interested in vehicles that excite me. 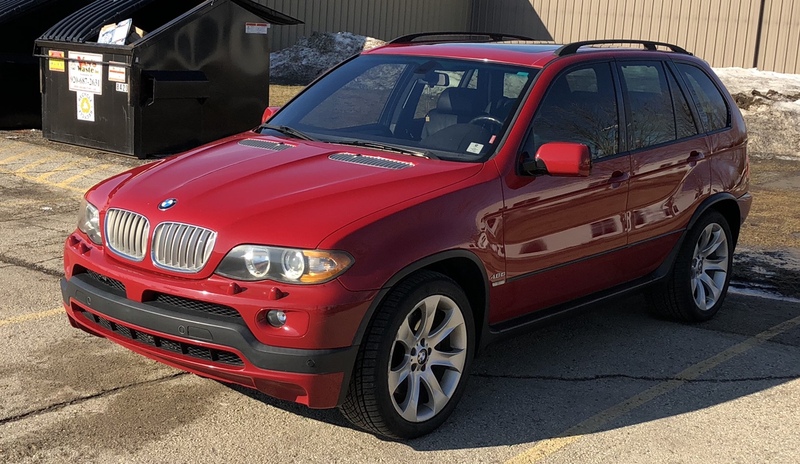 This X5 has done that very well. 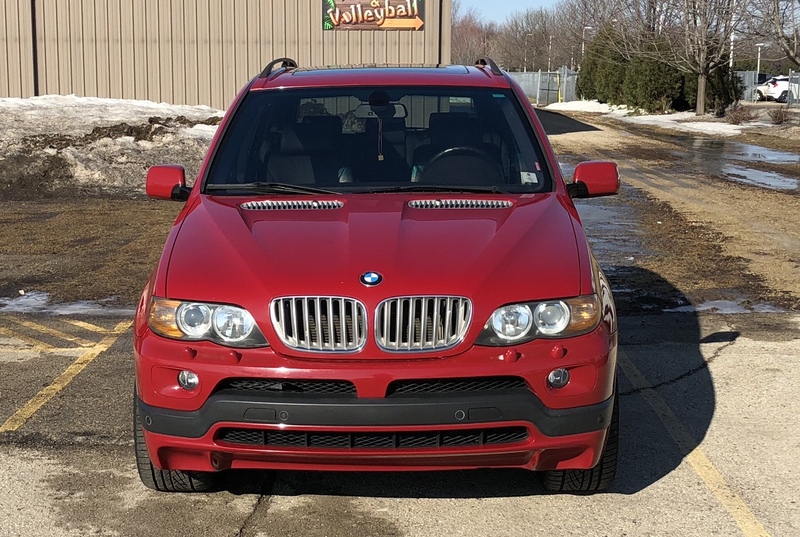 I don’t think it would be a stretch to say that this X5 for the mileage is one of the cleanest examples of the rare E53 4.8iS left. Here is a summary of service and maintenance. im very interested in this. need to check the finances and with the significant other to see if we can make it work. Congrats. I’m def jelly of whoever bought it.